I have a ton of fabrics to choose from. Please feel free to message me with custom requests. For this particular cover, you can change the minky outside border of this cover to any of our minky fabrics shown in photo 2. This looks awesome with the lime minky dot or red minky dot too! Arrived today, looks even better in person! I can’t wait to use it, it’s so puffy! 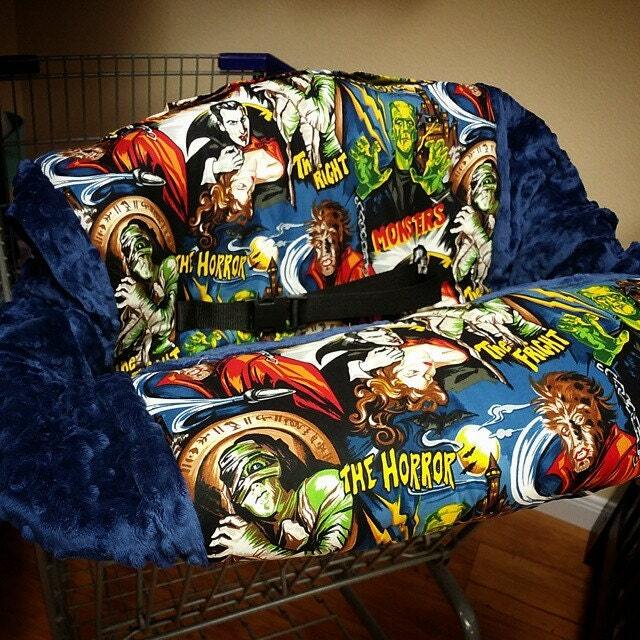 I bought a shopping cart cover / high chair cover and it's awesome. Most of all it has a lot of padding to keep my son comfortable and safe from the hard surface on the shopping cart / high chair. I enjoyed this item so much that I am ordering a matching receiving blanket too!